It's a little mesmerizing how quickly technology can spread, change, and re-invent itself. Thanks to the neverending news cycle, even those outside of the industry can watch as numerous minor changes pile atop one another, eventually culminating in something that bears only the slightest resemblance to its earlier incarnations. This has been especially true this week, with Oculus revealing a number of new incarnations of its popular VR headsets, each one presenting only small changes to the formula and yet feeling like a much more attractive or robust product. Fortunately, Modojo is here to give the low-down on which changes are sure to make the biggest impact across the mobile and portable gaming industry. So sit back, polish of that horn of ale, and relax as we sing the song of this week's Modojo Rewind. The biggest event we've covered this week concerned the likes of Oculus Connect, where the popular tech developer and manufacturer showed off loads of new VR-oriented technology. 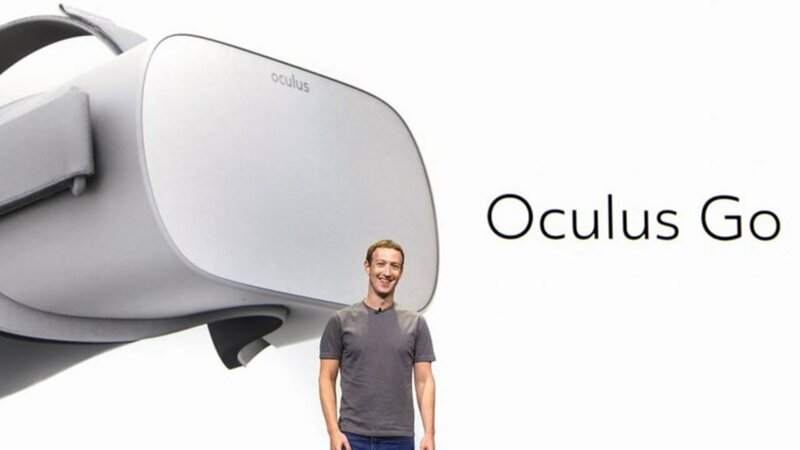 Among many other headlines was Facebook's Mark Zuckerberg revealing the all-new Oculus Go, a completely standalone virtual reality headset that doesn't rely on the use of a smartphone. Though no tech specs were given, it seems like Oculus Go is set to go head-to-head with Gear VR and Google's Daydream, particularly when it comes to price -- the Go will be sold for just $199. Some of Oculus' biggest innovations come through experienced engineers, one of which being John Carmack, co-founder of id Software and CTO for Oculus. Carmack took to the stage to deliver a keynote speech that is frankly rife with technical information regarding virtual reality and augmented reality technology. Among other quotes, Carmack revealed a belief that it's entirely possible to "bring the magic" of traditional PC-based VR to mobile devices, along with the notion that high-end and low-end VR systems will eventually converge. Aside from the goings-on at Oculus, games developer Square Enix also had some cool stuff to show off to VR fans this week. Over at New York Comic Con, the company gave a demonstration for its "Project Hikari" VR comic. Now titled Tales of the Wedding Rings VR, the demonstration works toward the notion that VR can be used to create new and exciting storytelling experiences outside of VR-enabled video or interactive video games. One of the themes that cropped up this week was centered around various Nintendo Switch accessories. We kicked off with the announcement of the Cybergadget Nintendo Switch Dock, a minimalist and floating-type design that leaves the Switch's screen uncovered while docked, allowing players to play and charge their systems simultaneously. Cybergadget's latest offering also includes an extra USB port for additional connectivity, which is always nice; unfortunately, it doesn't seem like the product will be heading to North America, at least not yet. Next up came yet-another 3D-printed Switch accessory. 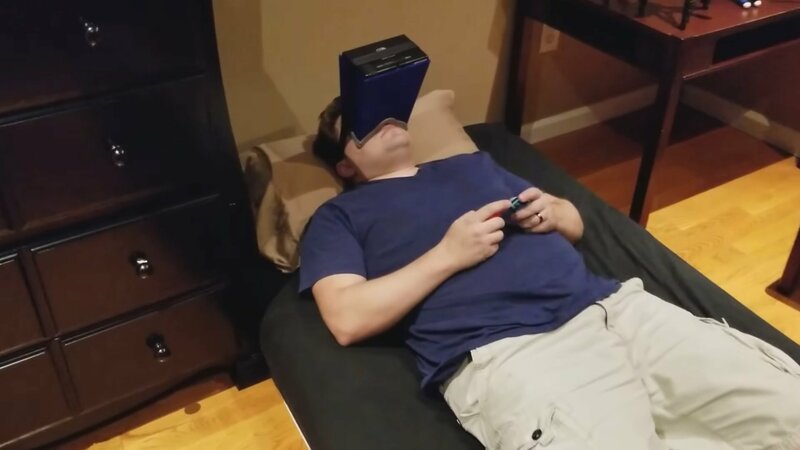 Simply called the Nintendo Switch Visor, this print-it-yourself accessory allows players to strap their Switch systems directly onto their face and get their game on while laying down. Yeah, it's kind of lazy -- the visor's creator, NeoGAF user Phawx, says so himself. But the fact remains that many people enjoy designing, printing, and making use of various Switch accessories. Naturally, this lead us to compile our favorite freely-available Switch accessory designs, and interested users can check them all out over on our guide to the best free 3d-printed Nintendo Switch Accessories. Of course, we had a few big mobile gaming stories to report on this week, too. Niantic is hosting a new competition where users can submit their best AR-focused Pokemon Go photos for a chance to win a prize pack including Pokemon Go Plus and a poster signed by the development team; Arena of Valor, the mobile MOBA so addictive that it was compared to drugs, is now taking pre-registration for North American players; comic publisher Dark Horse has announced that it's begun work on a new series of graphic novels based on the Switch brawler Arms; one company has taken to Indiegogo to sell a carry-on-turned-go-cart called the Modobag; and lastly, a new trademark application from Nintendo has players wondering if the company's next mini console will be the Game Boy Classic Edition. As always, stories like this and more can be found over on Modojo, the world's only Robomo-approved outlet for mobile and portable gaming news, reviews, and guides.